One year ago, King Gizzard & The Lizard Wizard graced us with the free album Polygondwanaland, which led to the sudden launch of Needlejuice Records. We were blown away by the love and support for what we were doing. Right out of the gate, we pressed Polygondwanaland on 3 vinyl variants (two colored vinyl and one picture disc), cassette tape, and CD. You all bought every single copy. 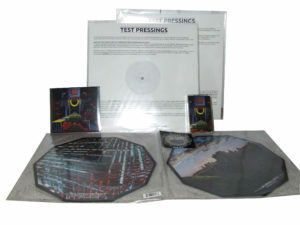 That is, except for these last copies we have, bundled up with the test pressings. This is a bundle containing a black vinyl test pressing for Polygondwanaland. In addition to the test pressing, you get sealed copies of both color variants Needlejuice released: the “Crumbling Polycolor” on orange/green with splatter, and the “Fourth Colour” on red/blue split with splatter. For good measure, the Needlejuice pressings of the album on CD and cassette are included as well. 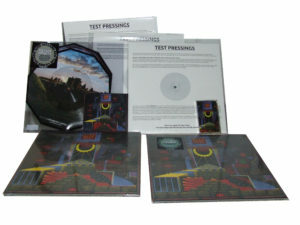 This is a bundle containing the 2-disc, 45RPM picture disc test pressing for Polygondwanaland. 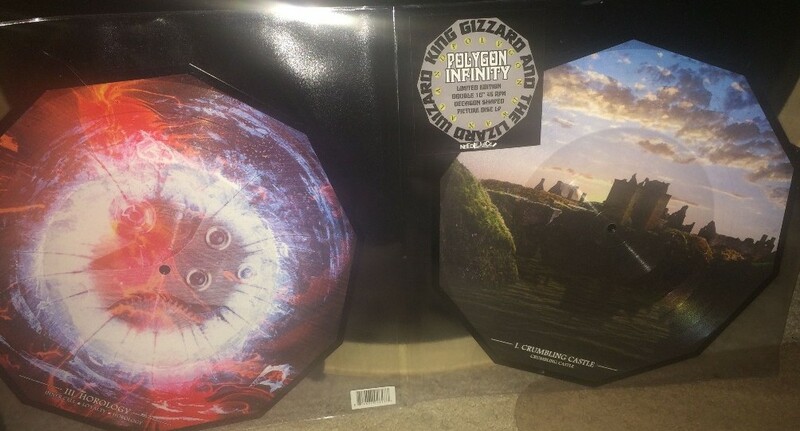 In addition to the test pressing, you get the actual decagon-shaped picture disc vinyl of the album. For good measure, the Needlejuice pressings of the album on CD and cassette are included as well. 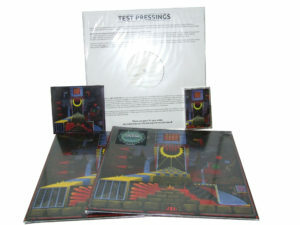 This is a bundle containing both vinyl test pressings for Polygondwanaland: a regular one on black vinyl, and 2-disc 45RPM picture disc test pressing. 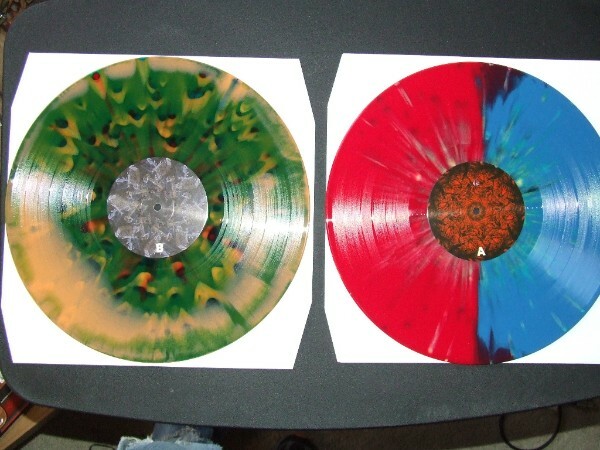 In addition to the test pressings, you get sealed copies of both color variants Needlejuice released: the “Crumbling Polycolor” on orange/green with splatter, and the “Fourth Colour” on red/blue split with splatter, as well as the the actual decagon-shaped picture disc vinyl of the album. For good measure, the Needlejuice pressings of the album on CD and cassette are included as well. What a year it’s been. Since our start with Polygondwanaland, Needlejuice has had 4 more vinyl releases, 9 cassette releases, and 6 CD releases. We wouldn’t be here without you all, so again, thank you. Money made from these bundles will go towards helping us continue to be a record label. BLACK FRIDAY SALES! Lemon Demon’s I Am Become Christmas OUT NOW! Just got the Omni Poly Mega bundle. Great bundle bundle, great price. All the records included are this and sound great. The. Crumbling polycolor variant is the best looking vinyl I’ve ever owned.